Frontman Conor Oberst delivers heart-wrenching performances track after track, as his bleeding heart voice and heart-on-the-sleeve lyrics permeate the songs, giving them the distinct edge that make them Bright Eyes tunes. On Fevers and Mirrors Oberst and company reach deep into their souls to capture the awkwardness, insecurities, and confusion of youth, re-telling them with a folk-pop backdrop etching them into your conscious. The noise of "The Calendar Hung Itself" bleeds into the trembling tenderness of "Something Vague," where Oberst's voice tries to overcome its uneasiness to capture the pain running through his brain as he sings the words that help him deal with his inner self. "The Movement Of A Hand" gently sways back and forth between hook-laden pop and easy-going folk, while "Haligh, Haligh, A Lie, Haligh" finds Bright Eyes tapping into their country influences. 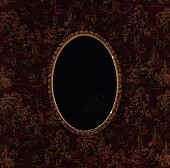 Oberst's voice is truly the gold that makes Bright Eyes work. His youthfulness helps, as does his poignant lyrics, but it's the trembling, shaky-at-best vocals that make the songs run through your head, over and over again, as a piece of Oberst breaks off into your mind each and every time you listen to the album. When all is said and done, this is a magnificent album. I'll give it an A.